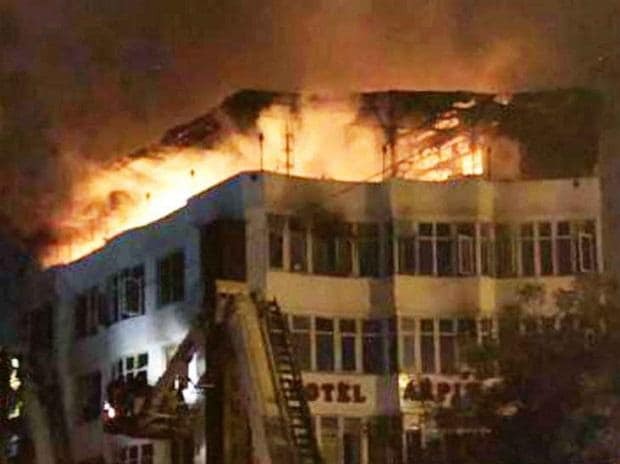 Rakesh Goel, the owner of Hotel Arpit Palace, was arrested in connection with a massive fire which killed 17 people on its premises, police said Sunday. The Crime Branch made the arrest from the IGI Airport on Saturday after the Delhi Police received a tip-off that Goel was travelling from Qatar by Indigo flight 6E 1702, they said. The immigration officials were alerted as a look out circular (LOC) was issued against him. On his arrival, he was detained and handed over to the Crime Branch. Goel was arrested after brief questioning, Deputy Commissioner of Police (Crime) Rajesh Deo said.